In my younger years, I was a bit dismissive of the short story. Why would you choose to read little lit rather than diving into a glorious novel? But once I had kids and my reading hours dwindled, both due to kiddie demands on my time and the inability to keep my eyes open once I snuggled under the doona, I decided to explore short stories. I didn’t have time to finish a novel in an ‘I can hold my head high’ amount of time but I could digest a mini book. And now I am an all embracing reader – novel, novella, short story, I’ll give anything a go! 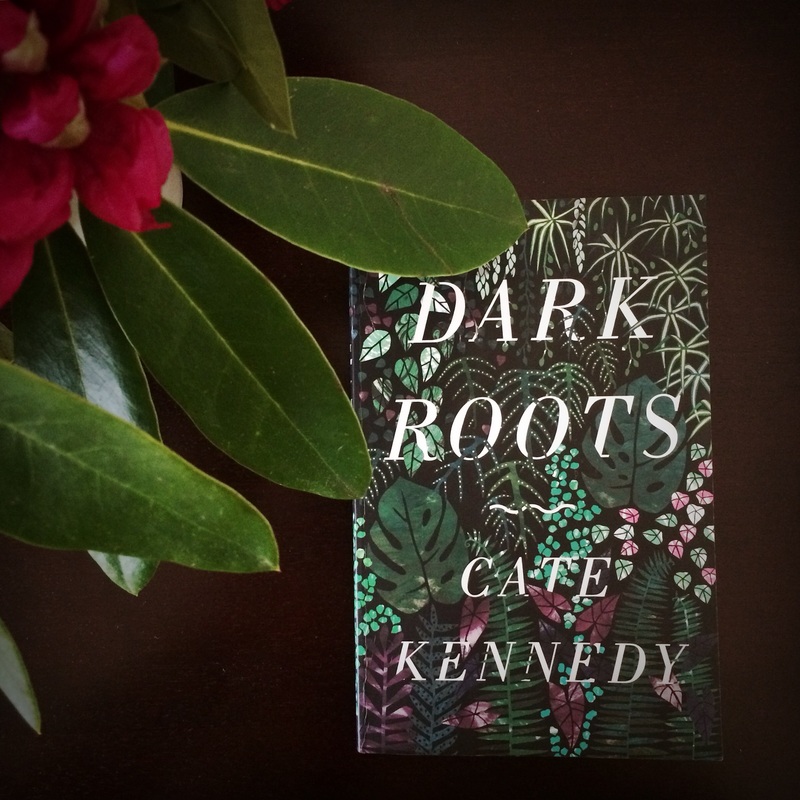 The seventeen stories in Cate Kennedy’s collection Dark Roots are on the shorter short story side – maybe a dozen pages at most. And yet within these few pages, she manages to create tales of poignancy and humour. A number of the stories explore the idea of loss – loss of life, both that of those close to us but also our own mortality, and loss of our sense of self. I found the first story ‘What thou and I did, Till we loved’, which spoke of the loss of a life partner, achingly beautiful. How could it not be with such a title? And ‘A pitch too high for the human ear’ filled me with pathos in its exploration of the dynamics of a marriage over time. ‘Resize’ covers similar territory, but perhaps a little more heavy handedly, and for this reason, didn’t provoke quite the same response in me. Side by side with these touching stories are the darkly Dahl-seque ‘The Testosterone Club’ involving lecherous men, revenge and dill cucumbers, and the retributory tales ‘Sea Burial’ and ‘Cold Snap’.which all left me with a smirk upon my face. Whilst I enjoyed all the stories, perhaps ‘Habit’ is a little too cute in its denouement (won’t expand further for fear of a spoiler! ), the title story ‘Dark Roots’ a little cliched in its ‘older woman’ insecurities and ‘Angel’ a little dramatic in its irony. But these are small quibbles. As an easy and varied read, this is an enjoyable collection. On the Iris and Edie scale, I’ll give it a 4 out of 5. Are short stories your thing? I love shorts. I don’t remember to pick them up enough or maybe they just don’t make it into my radar as often? I like it when I see people recommend them though so thanks! Yes! Definitely! There’s a collection I read recently that I reviewed in my blog called Sandcastles by Justin Bog he was masterful at that! Will put that on my list! Maxine Beneba Clarke in Foreign Soil also writes in amazingly varied voices. No, I have not read Dark Roots, but adding it to my Goodreads shelf now (the only way to keep track of all those books you really want to read!). I’m not averse to a short story…as you say, quite handy for when you have limited time. I find my attention span with novels that don’t immediately grip me is waning. I took ‘The Man Who Loved Children’ to a cafe today, aiming to finish it, and I just could not read more than a couple of paragraphs without looking away, fiddling with my phone, whatever. It worried me a bit! Anyway, I would love to check out Dark Roots. Sounds intriguing. And I love the cover too! Thanks for the recommendation Carolyn. Oh I hate that when you just can’t focus on a book! I can get quite annoyed at my wandering brain!